Historic England writes on the history of the lead industry in the UK. Approximately 10,000 lead industry sites are estimated to survive in England, spanning nearly three millennia of mining history from the later Bronze Age (c.1000 BC) until the present day, though before the Roman period it is likely to have been on a small scale. Two hundred and fifty one (251) lead industry sites, representing approximately 2.5% of the estimated national archaeological resource for the industry, have been identified as being of national importance. This selection of nationally important monuments, compiled and assessed through a comprehensive survey of the lead industry, is designed to represent the industry’s chronological depth, technological breadth and regional diversity. Nucleated lead mines are a prominent type of field monument produced by lead mining; they consist of a range of features grouped around the adits and/or shafts of a mine. The simplest examples contain merely a shaft or adit with associated spoil tip, but more complex and (in general) later examples may include remains of engine houses for pumping and/or winding from shafts, housing, lodging shops and offices, powder houses for storing gunpowder, power transmission features such as wheel pits, dams and leats. 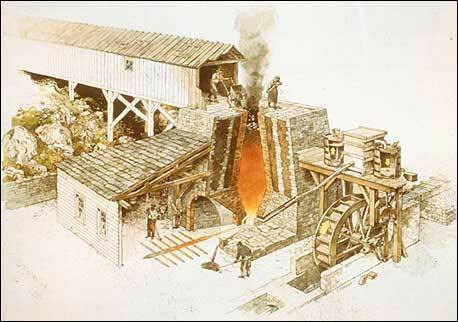 The majority of nucleated lead mines also included ore works, where the mixture of ore and waste rock extracted from the ground was separated (‘dressed’) to form a smeltable concentrate. separation of finer material by washing away the lighter waste in a current of water (‘buddling’). The field remains of ore works vary widely and include the remains of crushing devices, separating structures and tanks, tips of distinctive waste from the various processes, together with associated water supply and power installations, such as wheel pits and, more rarely, steam engine houses. The majority of nucleated lead mines with ore works are of 18th to 20th century date, earlier mining being normally by rake or hush and including scattered ore dressing features (a ‘hush’ is a gully or ravine partly excavated by use of a controlled torrent of water to reveal or exploit a vein of mineral ore). Nucleated lead mines often illustrate the great advances in industrial technology associated with the period known as the Industrial Revolution and, sometimes, also inform an understanding of the great changes in social conditions which accompanied it. Because of the greatly increased scale of working associated with nucleated mining such features can be a major component of many upland landscapes. It is estimated that several thousand sites exist, the majority being small mines of limited importance, although the important early remains of many larger mines have often been greatly modified or destroyed by continued working or by modern reworking. A sample of the better preserved sites, illustrating the regional, chronological and technological range of the class, is considered to merit protection. Barytes is a vein mineral normally found in association with lead deposits, particularly in the North Pennines. The dominant period of extraction was in the late 19th and 20th centuries and a high proportion of its extraction has come from former lead mines, either by renewed underground workings or re-processing dumps, barytes having been discarded as gangue or waste rock. The processing of barytes was relatively simple and involved crushing, jigging, drying and grinding at a mill into a powder. The chief uses of barytes have been as a cheap, inert white filler in the manufacture of paper and paint and more recently it has been used as the basis for barium chemicals. 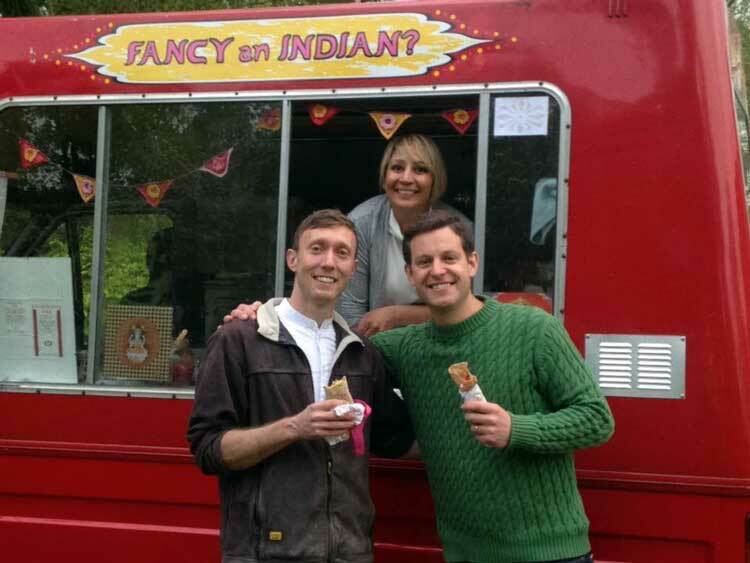 See the entry on the Historic England website – HERE! 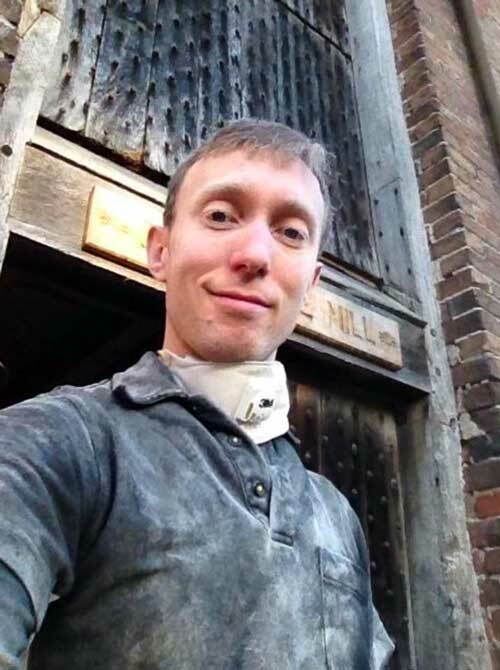 Historic England on Lime Burning…..
Limestone or chalk has been the basic ingredient for lime mortar from at least Roman times. Since the medieval period, lime has also been used as agricultural fertiliser and, since the early 19th century, widely used in a variety of other industries: as a flux in blast furnaces, in the production of gas and oil, and in the chemical, pharmaceutical and food industries. The lime industry is defined as the processes of preparing and producing lime by burning and slaking. 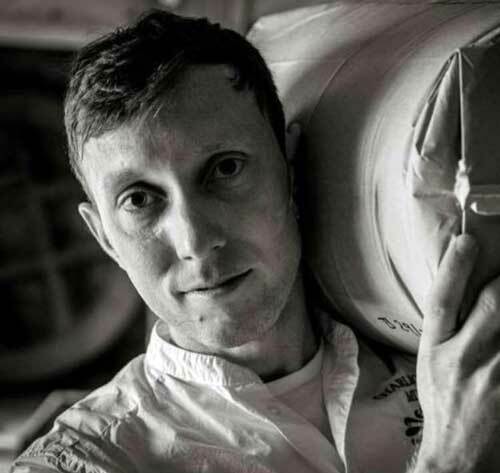 The basic raw material for producing lime is limestone or chalk: when burnt at high temperature (roasted or calcined), these rocks release carbon dioxide, leaving `quicklime’ which, by chemical reaction when mixed with water (`slaking’), can be turned into a stable powder – lime. Lime burning sites varied in scale from individual small lime kilns adjacent to a quarry, to large-scale works designed to operate commercially for an extended market and often associated with long distance water or rail transport. Lime burning as an industry displays well-developed regional characteristics, borne out by the regional styles of East Anglia, West Gloucestershire or Derbyshire. The form of kilns used for lime burning evolved throughout the history of the industry, from small intermittent clamp and flare kilns, to large continuously fired draw kilns that could satisfy increased demand from urban development, industrial growth and agricultural improvement. Small-scale rural lime production continued in the later 19th and 20th centuries, but this period of the industry is mainly characterised by large-scale production and the transfer of technologies from the cement and other industries. The demand for mortars grew steadily during the 19th and 20th centuries. The successful production of mortars made with artificial cement represented an economic challenge to lime production and gradually replaced the use of lime mortars in major construction and engineering projects. Around 200 lime industry sites have been defined as being of national importance. These have been defined to represent the industry’s chronological depth, technological breadth and regional diversity. 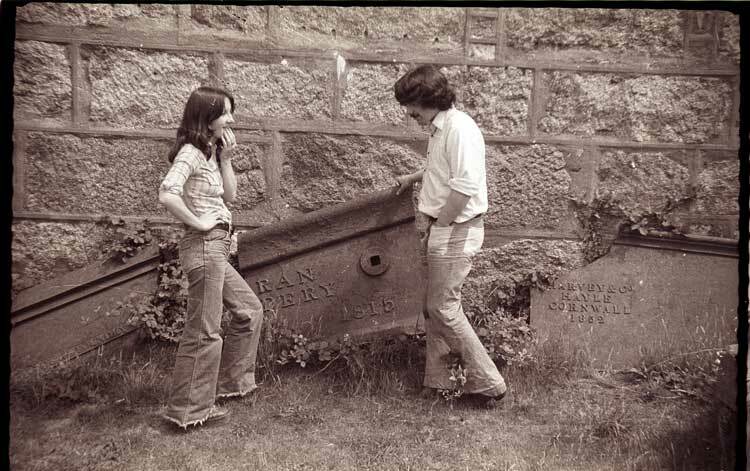 In 1975 my brother and I took a holiday in Cornwall. Not for a week on the beach at Newquay like most of the other men of our age, instead we elected to look at and photograph the legacy of the Cornish Tin Mining era. My brother had done the background planning, he had read a lot about Cornish mining, and was able to recognise most of the iconic engine houses in and around Camborne and Redruth. I was the up and coming budget photographer. To develop and print a roll of 36 exposure colour film in those days cost around £5.50; a week’s wages for me as a construction apprentice was £17.00. We had a tent and a sleeping bag each, no camp bed or mat, and we spent an incredible week living on fish and chips. I was shooting in black and white, Ilford FP4, and would develop the films when home in our mum’s bathroom. She loved us to death – honestly! Before we even set-up camp, we came across East Pool and Agar Mine at Taylors shaft. 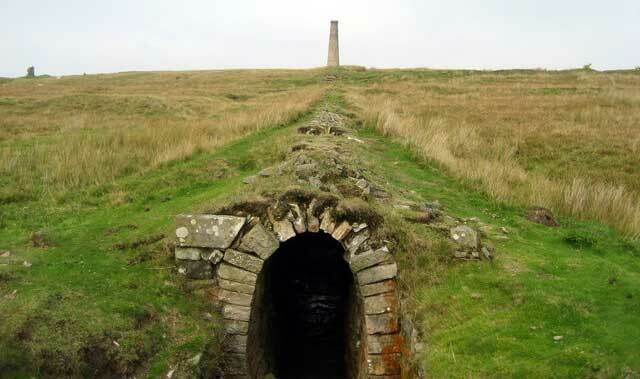 In those days you bought a ticket at East Pool Whim that gave entrance to the Cornish Engine house at Taylor’s shaft. It was there we met John Bolt, a retired Cornish miner – a shaftsman. 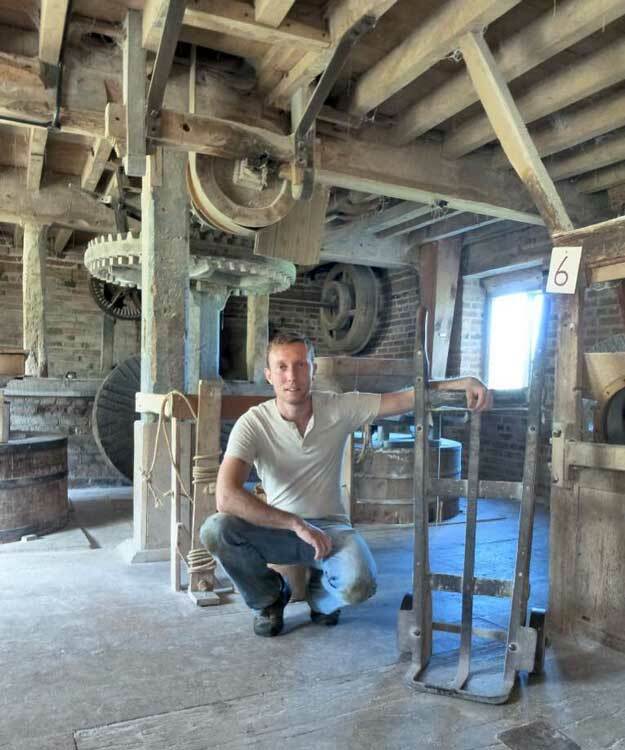 John was working as a volunteer for the National Trust, and would open the engine house on a daily basis. John seemed at first a little bit tired of the visitors. Static Cornish Beam engines and retired Cornish miners don’t say a lot to the casual visitor, they invite you to bring something to the party first – it’s a test! However we did bring something to the party, our thirst for knowledge, the need to know about an industry that shaped the face of the country, we passed the test and the stories started and did not stop for a week! 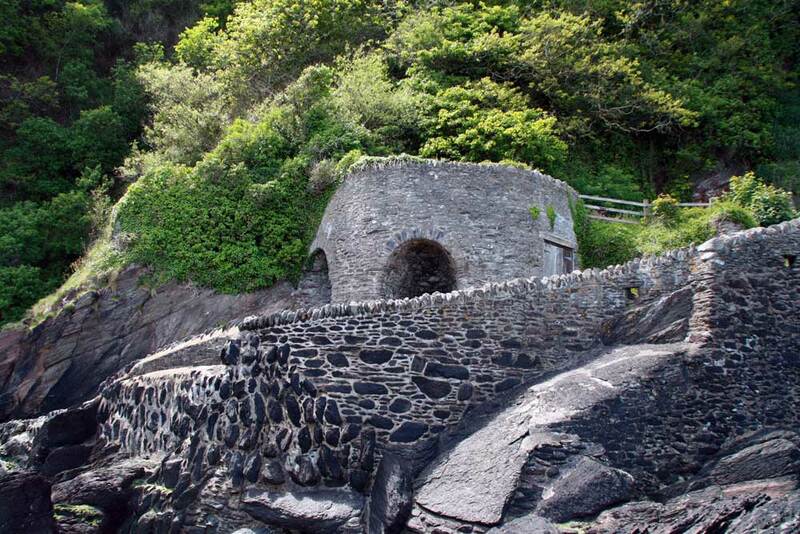 John had worked in the Cornish Tin Mines all his life, when he retired he ran a chicken farm nearby, but John’s identity was that of a Cornish tin miner. Over the week in Cornwall, we would pop in and see John every day, where he would tell us remarkable stories of his life underground, right up until the mine eventually changed over to electric pumps in 1954. 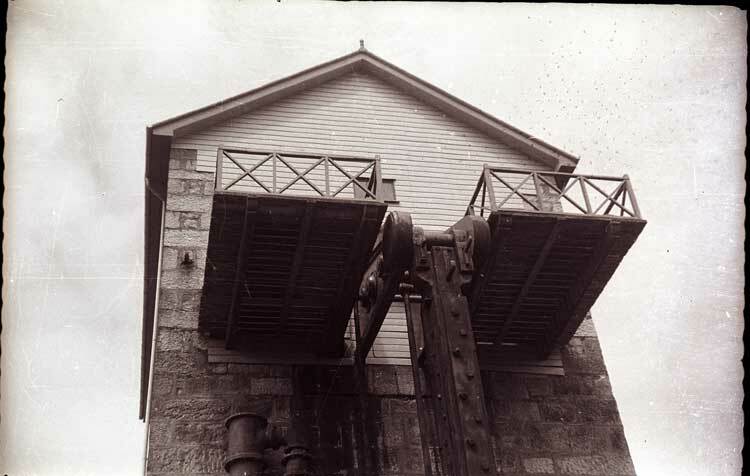 John was a shaftsman who maintained the Taylor’s pumping shaft at East Pool Mine – all 1,700 feet to the sump at the bottom. He told us that on occasions, he had also driven the 90” Cornish beam engine, and could have been one of the last people to see it working. 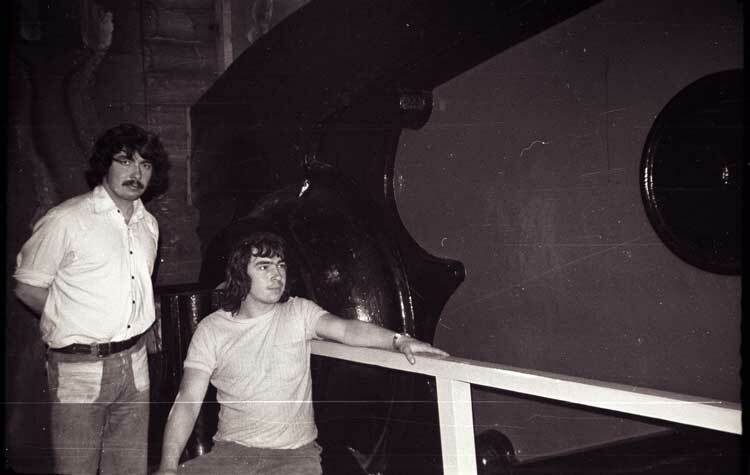 The normal Cornish beam engine driver was a young chap who can been seen at work on a BP archive film, John knew him well. John told us all about the layout of the pump rods, plunger and lift pumps, clack valves and the 5 other underground balance beams. It would take him an hour or so to climb up the ladders to the surface. The Cornish engine has a beam weighing around 52 tons, yet when the command to ‘blow poles’ was given, the driver “could move that beam a quarter of an inch” John would tell us. John told me the story of a miner who had become trapped by his hand, and after couple of days still could not be freed. A doctor was bought down the mine, to anaesthetise the guy. As John held him steady the doctor cut his hand off; John said “in about three seconds”. John said the guy was back at work a week or so later, and happened to come across his own hand after some blasting. The guy just casually picked up the hand, looked at it and said “look, a perfectly good hand, nowt wrong with it”. The guy put the hand in his pocket and took it home with him! I made a further visit to East Pool and Agar mine the following year, and again was entertained by John Bolt. He was a guy I thought would be around forever, so in 1977 I did another trip to Cornwall, only to find John’s green Reliant car was not outside the engine house. I enquired inside to a well-spoken BBC accented middle aged gentleman, who casualty informed me John had died in his sleep over the Christmas holiday. As you can imagine, I was gutted. My feeling arose not only from the news of John’s death, but because this loss was presented to me by this other person, as just the passing of another doddery old man. He clearly stereotyped John as someone well past their sell by date who had passed away, and had made way for a new up and coming intellectual who was really going to give the visitor experience a proper job well done. He was not in the same race. He did not have the capacity to see that the world had lost a giant of a man whose depth of practical hands on knowledge reached back several generations and brought the past alive. John’s name, along with a few others, is etched into the glass window on the first floor of the engine house – the one overlooking the entrance door. John’s name is right in the place he loved to be, in a Cornish tin mine engine house entertaining the visitors with his remarkable stories…. Well only the ones who were able to pass his special test! I wish I had made a tape recording of John’s stories, but the retroscope has yet to be invented, so now, I am the keeper of John’s memories, and need to tell the stories myself…. I must devise a test! You can tell me facts and I will learn, you can tell me the truth and I will believe you, but if you tell me a story it will remain in my heart forever. Written by David Moore. Posted on February 17, 2016 by morturn on his blog site! All images are copyright of David Moore. David Moore is the Chairman of the Lichfield Waterworks Trust. Dave Moore’s association with history began inauspiciously. He was thrown off the History CSE course at secondary school for failing to show an interest and failing to hand in any course work. His working career started with an apprenticeship in the construction industry with an upward path leading to management in the private sector. Despite his worst efforts at school, Dave has always maintained his interest in history. 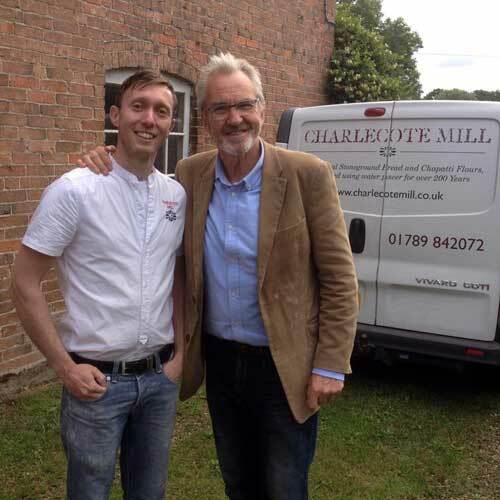 He travels Britain widely in pursuit of his passion for industrial heritage and social history. Early retirement allowed Dave to deepen his interests by studying public history at Ruskin college, Oxford, for which he was awarded an MA. Dave’s other skills of photography, film-making and information technology support his work in the public history arena. Did the area have suitable topography for the construction of a furnace and its charging bridge? Was there a good and plentiful supply of water for turning a wheel? Were the surrounding landforms suitable for constructing water-control features, i.e., dams, canals, headraces, waterwheels, tailraces? Were there plentiful raw materials available in the area, i.e., iron-bearing ore deposits, fluxes, and wood for making charcoal? How could these supplies be brought in if local supplies ran out? Could the finished product be transported away easily? Was there an available labour supply? How would they get to the site? Where will the iron ingots be worked? 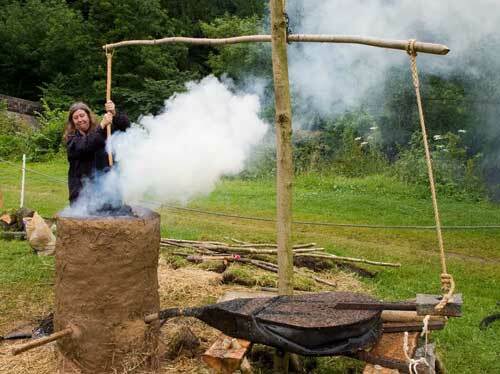 Should a forge also be built onsite? What products was the grade of iron produced good for? Who has the expertise and experience to manage such a project? How will it initially be financed? It’s any wonder that they ever got off the ground! 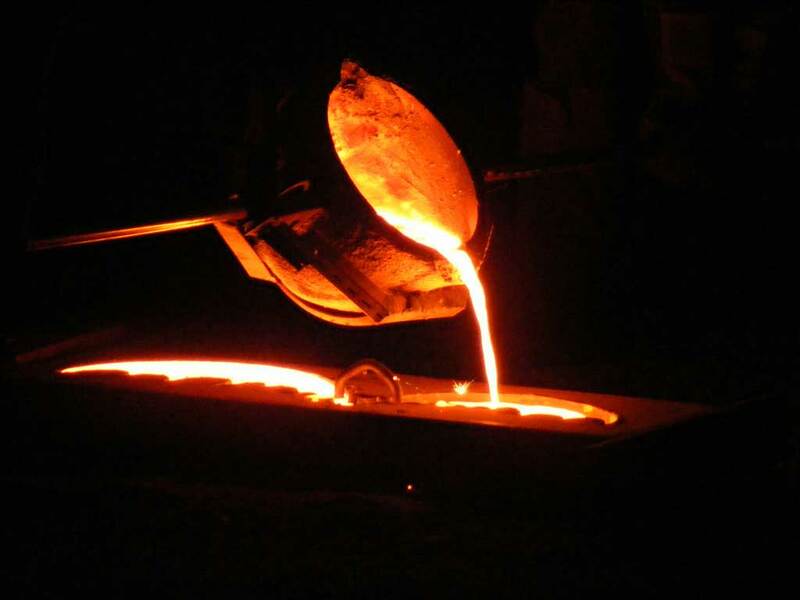 The Iron Age occurred after the Bronze Age, so metallurgy was already known. But let’s not forget, we’re talking circa 900 BC onwards for Europe! (yes, that’s 1100 years ago). They needed to overcome the increased temperature required to smelt iron compared with tin and copper. 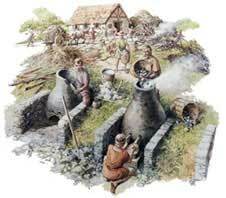 And it was only in the 15th century that the introduction of the blast furnace really got the iron flowing! Another important aspect of iron smelting is the carbon content as derived from the charcoal that it has to be burnt with. Only a small variation in the carbon content makes a big different to the hardness and therefore uses of the end product. Indeed it is the precise carbon content in the iron alloy that gives us steel! Less than 0.25 % is too little and over 1% is too much! So in the beginning there were no blast furnaces and no coke (derived from coal). The metallurgists had to make their magic in bloomeries with charcoal, that they derived from carefully selected woodlands. Broadleaved trees were preferred because of their higher carbon content and because they produced a greater heat than coniferous trees. The size of the charcoal was also a major consideration. Charcoal larger than about 5 or 6 cms in diameter was too easily reduced to dust when transported or crushed by the weight of the furnace charge. Charcoal dust was most undesirable because it lowered the efficiency of the furnace. This served as an incentive to conduct cyclic coppicing of the surrounding woodlands, the evidence of which we can often see today! Charcoal was fragile and was too costly to be transported very far. 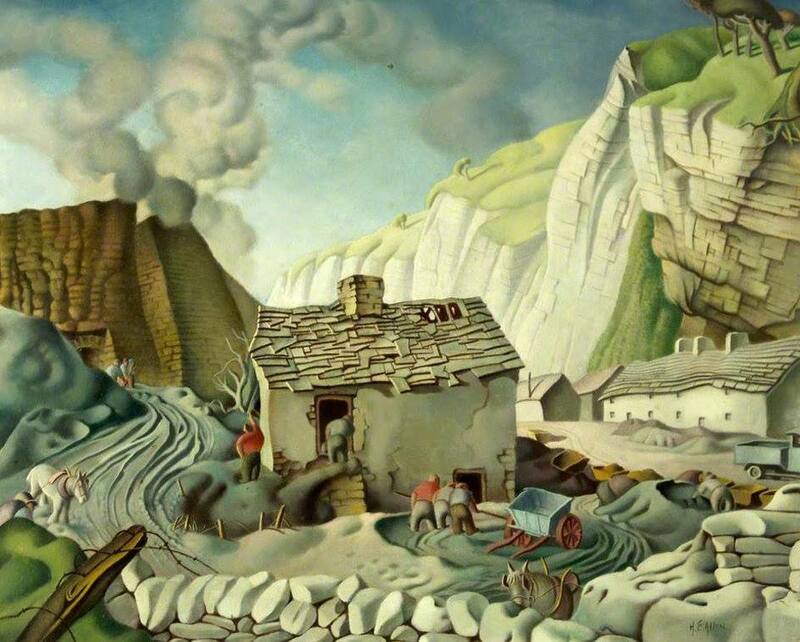 The demanding charcoal needs of the ironmasters, coupled with that of the other glass works, potteries, and shipbuilding saw Britain’s forests rapidly dwindle. Bloomeries varied tremendously, but a bloomery was generally a clay and stone kiln construction with a central chimney and an access hole at the bottom. The iron-ore was mixed with the charcoal and hand-bellows got the fire going. When the fuel was spent, the bloomery was emptied out and the spongy metallic lump of wrought iron and slag was recovered. As time went on, much was learnt about the fuel and temperature variations based on the emerging product. Water-powered bellows soon replaced the hand operated ones and the bloomeries were made taller. Soon a ramp was required to fill the furnace and careful layering of products was employed. Mistakes were costly, both in time and materials, so I should think lessons were learned quickly and knowledge closely guarded. The iron-ore and charcoal was added to the furnace via the hole in the top in alternating layers of carefully considered thickness! This kind of knowledge was passed on from ironmaster to apprentice and learned from experience not out of a book! If a furnace was blown out or extinguished, it had to be rebuilt, causing a one-or two-month delay before high-quality iron could again be made. Therefore, it was imperative that the iron-smelting production process was not disrupted. 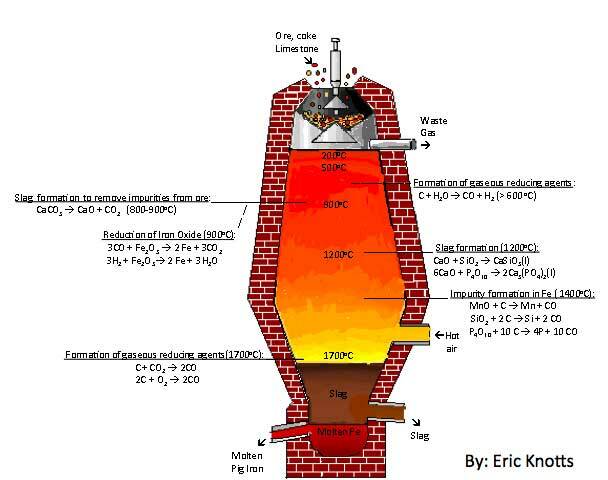 But the Chinese were well ahead of the game and were already using a continuous kiln at a higher temperature that was able to drive-off the oxides and liquify the iron. 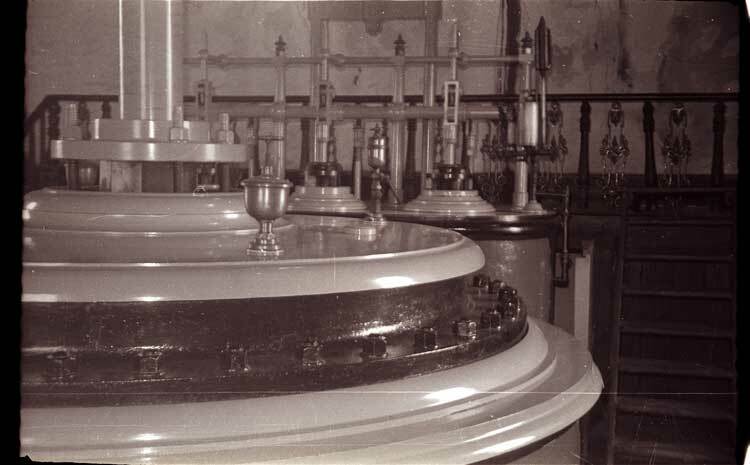 It was recharged at the top with iron-ore, limestone flux and charcoal and molten iron and slag were tapped-off separately at the bottom. It was introduced to the Weald in 1491 or 2, but despite the arrival of the blast furnace in the 1490s, bloomeries were still operating in the West Midlands region beyond 1580. And in Furness and Cumberland, they operated into the early 17th century! The last one in England (near Garstang) did not close until about 1770. Waterwheels, bellows, blast furnaces, and the continuous melt! Blast furnaces were the new fashion. 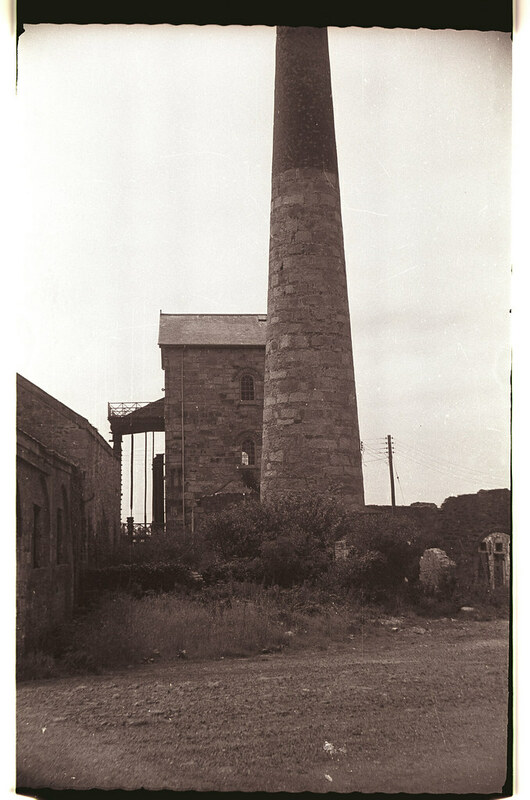 The well-known bloomery was being replaced with the more permanent and larger blast furnaces, with waterwheel-driven bellows and charging ramps. The monks cottoned on quickly and blast furnaces were thrown up at Abbeys such as Tintern and centres such as the Forest of Dean and Ironbridge emerged. The technology didn’t change drastically until 1709, when Abraham Darby of the Coalbrookdale Co in Ironbridge introduced Coke (a form of coal) as a fuel in place of charcoal. 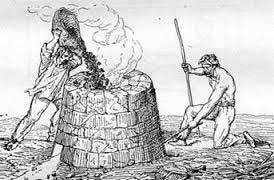 This allowed the size of furnaces to physically increase, because charcoal collapsed under the weight. So improved were the results that coke was almost universally adopted within 100 years. Another improvement was that of pre-heating the blast air. It was achieved by using heat recovered from the exhaust gases. This enabled the temperature within the furnace to remain uniform and high! Amazingly, (apparently) you can tell from the texture and colour of the slag whether or not a furnace had a hot or cold blast! They also pre-mixed the coke and iron-ore and roasted it, producing sinter. This helped to drive-off impurities and improve the iron product. All in all, a proper job! People have always loved metals. From the fortuitous finding of meteoric iron and native gold and silver by our ancient ancestors, to the highly refined and versatile array of modern alloys, they have all captured our imagination and been key to our technological and cultural progress. Our first contact with metal was in the finding of gold and silver. These metals occur natively on our wonderful planet, that is to say, in the metallic form that we know and love, and have been treasured and worked into jewellery for many thousands of years. Most metals are only found as ores – rocks containing minerals of metals combined with other chemical elements – which must be processed to extract the useful metal.